Developing our strengths at work, learning how to do more of those things we’re good at and actually enjoy doing, has become a multi-million dollar global industry, but is it really making a difference? While a growing body of research suggests developing our strengths may be good for employees and for their organizations, in my experience turning theory into practice can be challenging. 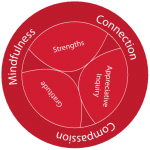 What is the Impact of Existing Strengths Practices at Work? Online strengths assessment tools like Realise2, Gallup StrengthsFinder, and the free VIA Survey have made discovering people’s strengths much easier, but understanding what people can do to develop their strengths is still woefully under-researched. We decided that looking at the impact of existing workplace strengths practices was the best way for us to find insights to guide our future approaches. Had a meaningful strengths conversation with their supervisor in the last three months. We also found that having meaningful strengths conversations with managers was more likely to happen if the organization was believed to be supportive of strengths. In an effort to make it easier for people to achieve these outcomes, we later launched the first free global Strengths Challenge and invited people to discover their top five strengths, set a small daily strengths habit, and practice it for one week. More than 2,000 people from 65 countries around the world took part in the challenge, and more than a third of the participants improved their strengths knowledge, strengths use, and well-being outcomes. A lower proportion of participants from the UK could name their strengths (57%, compared to an average of 66%), indicating the initial step of strengths-identification could be particularly powerful there. Canadian participants were the least likely to set weekly strengths-based goals and expectations (73% Disagreed), and the least likely to be able to name the strengths of their co-workers, suggesting more room for improvement putting strengths into practice in Canada compared to the other countries. New Zealand participants were the most likely to say that they had the opportunity to do what they did best at work (61%). 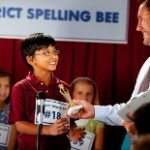 They were also most likely to be able to name strengths of their co-workers (54%). This group was most likely to have had a discussion about their strengths with their supervisor (37%), and also most likely to agree their organization was committed to building strengths (53%). 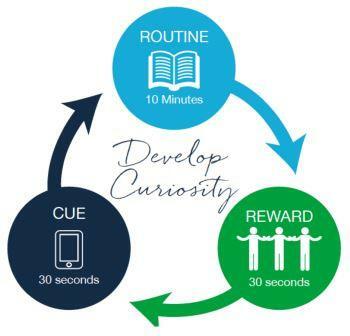 Leading in these ways could help explain why NZ participants were the most likely to say they were engaged and energized at work (61%, compared to an average of 48%). Could New Zealand workplaces be the positive deviants of strengths? Perhaps. 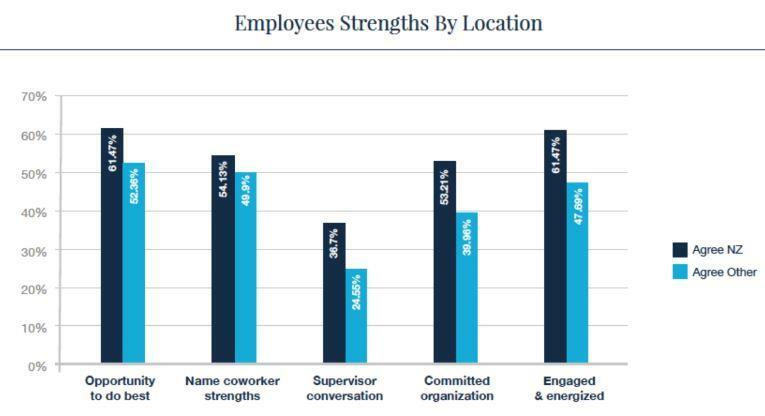 It seems their alignment of organizational, management, and individual priorities around strengths may be delivering valued employee and workplace outcomes. 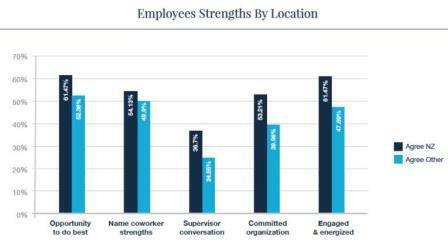 How might this data help you think about developing the strengths of your employees? If you’re looking for a practical evidence-based approach to bringing out the best in yourself or others at work, then join us for our six-week online strengths development program, Show Up, Shine and Succeed, starting on March 14. Registration is open now and closes on March 13. Editor’s Note After being trained by the world’s leading strengths researchers, Michelle has worked with more than ten thousand people around the world – employees, managers, HR leaders, entrepreneurs, and coaches – to create this evidence-based blueprint for developing your strengths and creating lasting success on your own terms. There is an early bird price with a substantial discount for people who register before midnight on Sunday 6th March. Registration closes on March 13. By enrolling in Show Up, Shine and Succeed, you gain life-time access to training videos, audio, and transcripts you can take anywhere, play sheets to help you immediately apply what you’re learning in the real world, and live coaching calls with Michelle. It’s a very affordable way to discover how you can do more of what you do best each day at work. What does it mean that the link is sponsored? If you use our link to register, Positive Psychology News gets a share of your registration fee, which we will then use to run and upgrade the site. This is a program we are happy to sponsor. McQuaid, M. (2015). 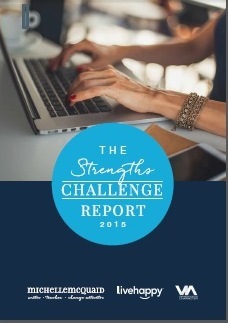 The Strengths Challenge Report 2015. McQuaid, M. (2015). The Strengths Revolution Transforming Our Workplaces. Huffington Post. McQuaid, M. (2014). 10 Reasons to Focus on Your Strengths — No Matter What Your Job Description Says. Huffington Post. McQuaid, M. (2016). The 3 Mistakes Companies Make Focusing On People’s Strengths. Psychology Today. McQuaid, M. (2016). Could you be happier in just 11 minutes? The Strengths Challenge. 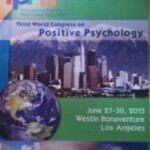 Positive Psychology News. McQuaid, M. (2016). 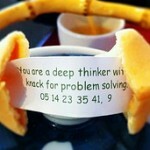 Can you map your talents and strengths? 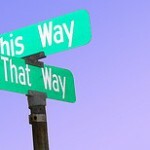 Positive Psychology News. Chamorro-Premuzic, T. (2016). Strengths-Based Coaching Can Actually Weaken You. Harvard Business Review. 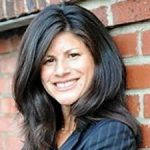 Hi, Michelle, and I enjoyed your update on businesses and strengths around the world. Great to see the increase in strength usage around the world. Living in Puerto Vallarta, MX, half the time, with more Canadians living here than Americans, socialism vs democracy came to mind re: USA workers being more motivated to learn and employ strengths. No judgment implied here, just a curious observation. I will need to ask my Canadian friends here if they utilized strengths when they were still employed. And the motivation to use strengths, connection to your team and knowing their strengths and having dialogues about them and managers was also very interesting. We are getting there, at least in USA, New Zealand and other countries. 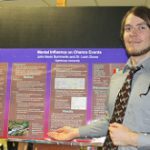 I appreciated your report, too. Thanks very much.